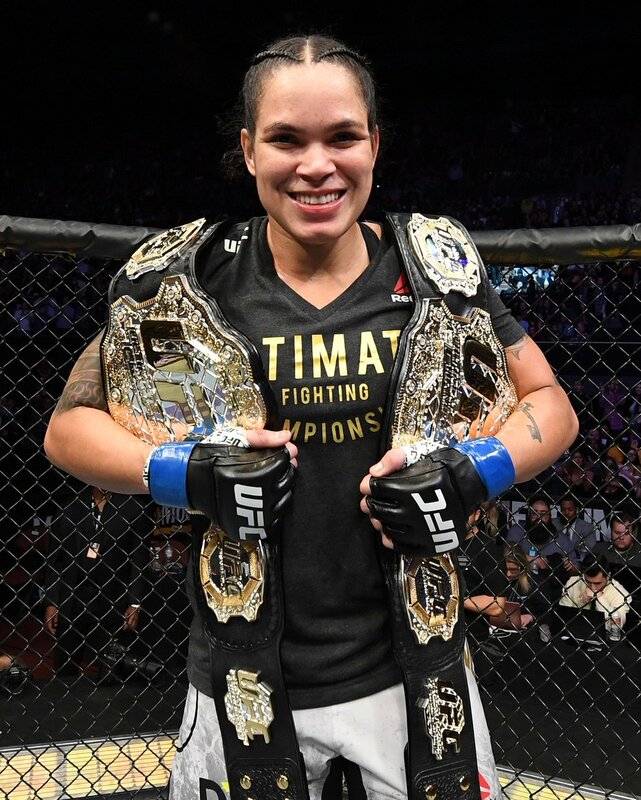 Amanda Nunes is one of the greatest female fighters in MMA history who holds champion in both the women's bantamweight and featherweight divisions. When she was asked whether she believes she is the greatest MMA fighter of all time, she said that she is 100 percent sure, and everybody says that, so there is no question about it anymore. Her full name is Amanda Lourenço Nunes. She was born in Brazil on May 30, 1988. She started practicing martial arts when she was a kid. Brazilian mixed martial artist Amanda Nunes first learned Karate at the age of four. When she was 16, she started training in boxing. She has a bright martial arts background. When we see someone successful in martial arts, that's inspiring. They do not become who they are today suddenly. They train hard and spend a lot of time practicing martial arts. Nothing is possible without time and effort. You have to spend time and give your 100 percent effort on it. Amanda Nunes shows us how she becomes the champion and one of the best fighters defeating Ronda Rousey, Miesha Tate, and Cris Cyborg. She is the one who has a history of a 51-second knockout of the featherweight champion Cris Cyborg at UFC 232. If you do not believe you are the best, you will not be the best. When you are 100 percent sure about yourself, everyone starts believing you. Always believe in yourself. Then you can always move forward even when no one believes you. That's the driving force of your action and it will make you successful one day. Thank you so much for reading this post. I really appreciate your feedback and support. Please feel free to comment below.